While most of the focus in any aquarium is on the colorful, lively fish that populate it, aquarium owners and hobbyists know that attention must also be paid to keeping the aquarium's plants healthy and looking great. From suitable aquatic substrates to practical solutions for planting and repositioning, to providing the CO2 and mineral nutrients plants need to thrive, everything you need to cover in order to have amazing aquarium plants is right here. Pet Mountain's Aquarium Plant Care store features top quality products from the most trusted names in aquarium vegetation care and upkeep, including Red Sea, Hagen Nutrafin, CaribSea, API, Seachem, Penn Plax, Zoo Med Aquatic, and more. Providing your living aquarium plants with a healthy source of CO2 is essential to promoting their growth and vibrancy (plants "breathe" CO2 the way people breathe oxygen). Installing a simple, easy to operate Aquarium Plant CO2 System can provide your aquatic plants with all the CO2 they need. Like all plants, aquarium vegetation needs a suitable substrate to anchor in. Our Aquatic Plant Substrates provide nutrients and vital minerals to hold your plants steady and promote growth while also providing an attractive base for your tank. Hearty mineral supplements are extremely helpful in making sure your plants have all the "food" they need to thrive. 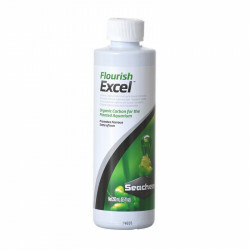 Our selection of Aquatic Plant Supplements are rich in essential nutrients designed to get the most out of every plant. And of course, sometimes plants need a little repositioning. 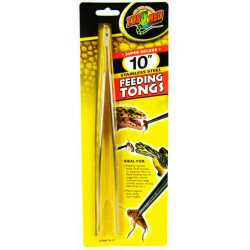 Aquarium Tongs are easy to use and allow you total precision in getting your plants right where you want them.